Join Salon97 for a free film screening in San Francisco! 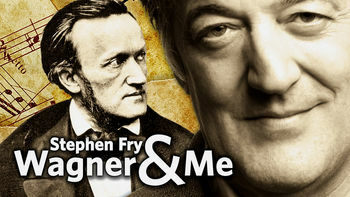 The BBC/Wavelength Films documentary Wagner & Me. Comedian and classical music lover Stephen Fry takes a journey to Bayreuth, Germany to untangle the conflict of loving the music of Wagner–an openly anti-Semitic composer–as a descendant of Holocaust victims. Fry attends the Bayreuth Festival, a world-famous celebration of Wagner’s operas. While there, he interviews music historians, Wagner experts, and a Holocaust survivor, while concurrently indulging his love of Wagner’s music and visiting historical landmarks honoring the composer’s time spent in the town. Will he reconcile his eternal conflict? Wagner & Me is a poignant yet funny look at hating what an artist stands for but loving their work. Doors open at 6:30, film runs at 7:00 p.m. The event is free but seating is limited. Please register via Eventbrite. Beer, wine, and popcorn will be available for purchase at Second Act’s concession stand.